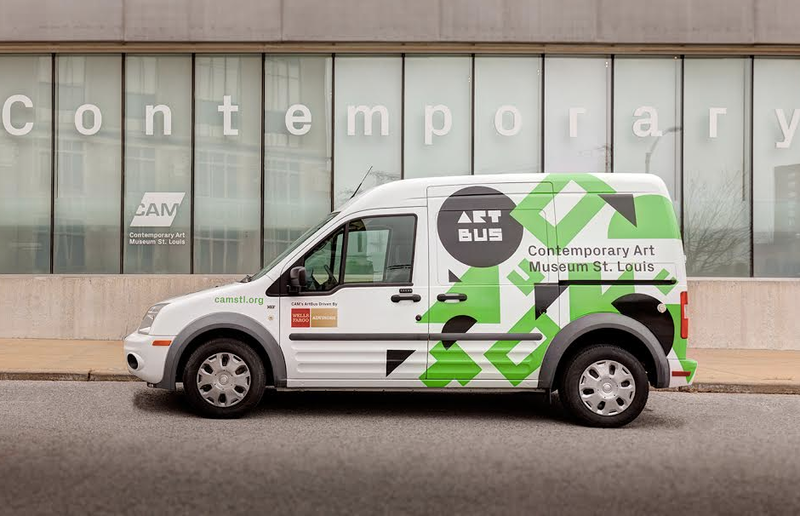 The Art Bus is the mobile studio for the Contemporary Art Museum in Saint Louis. It brings hands-on experiences to Saint Louis neighbourhoods, classrooms, festivals, and fairs. Husbandmen created a custom typeface that was deconstructed, rearranged, and utilised for a bold, kinetic pattern wrapping the van.